The UK’s first 48-hour animation competition, Anijam, is now open with a Northern Ireland regional heat taking place on Friday 10th – Sunday 12th August. Animators aged 18+ can compete for free in teams of 2 to 5 people, creating an original film based on a secret theme. The short films can be in any style of animation and from 15 to 90 seconds in length. Up to three films will be selected from each regional heat to form a shortlist eligible for final awards. The shortlist will be screened at a range of venues including Encounters Short Film and Animation Festival in September, and Manchester Animation Festival in November, and the competition will be opened up to public vote online at anijam.co.uk. 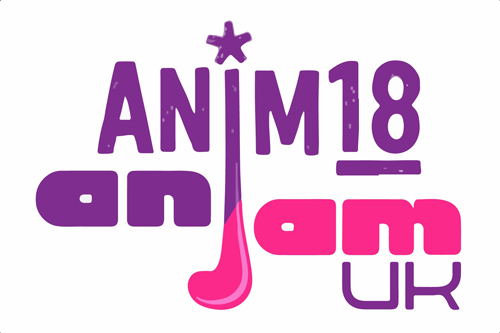 Animators who would like to take part in the AniJam UK challenge should visit anim18.co.uk/anijamuk for details of venues and the wider programme, and anijam.co.uk to register a team. Registration closes on the 3rd August.